The two giants in the ebook-reading field right now are Pocket and Instapaper. While about 70% of people use Pocket over Instapaper, recently, they have got quite a few reasons to switch over to the latter. First off, Instapaper Premium has just gone free, so why wouldn’t anyone want to miss using the prime features? Or, it could be the other way around as well. People using Instapaper might just prefer Pocket thanks to its simplicity and attention to detail. In either case, the user will not have trouble getting used to the different reading service, the only issue is that you will need to backup and import your articles either from Pocket to Instapaper, or vice-versa. 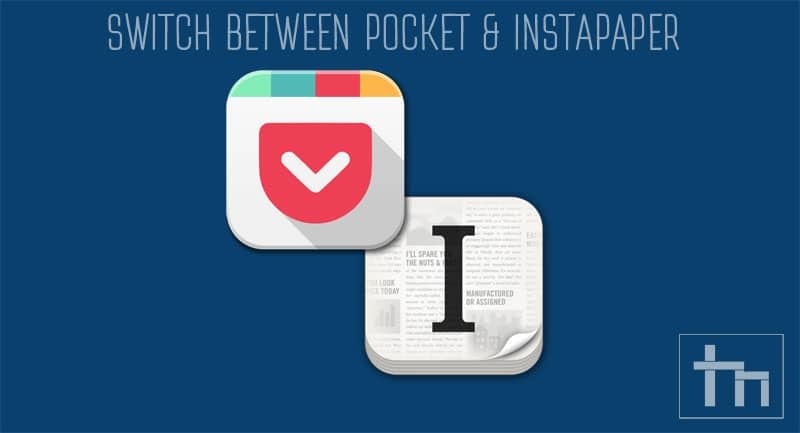 In this guide, we will be taking a look on how you can switch between Pocket and Instapaper. While the procedure is quite a nuisance, we will try our best to keep it short and simple to follow. Lastly, we expect you to have a reliable internet connection, and more importantly, a PC or laptop to work with, since there’s going to be some exporting and importing business. 1. First, head over to the website of the service you are currently using. 2. Next, export your list of saved articles from your preferred service. Pocket : Head to their website, and click on your username, then click on ‘Options‘. Now select ‘Export‘, and export it as an HTML file, and download it. Instapaper : Head over to their website, click on your username, and then click on ‘Settings‘. Once again, click on ‘Export‘, and download it as an HTML file. 3. 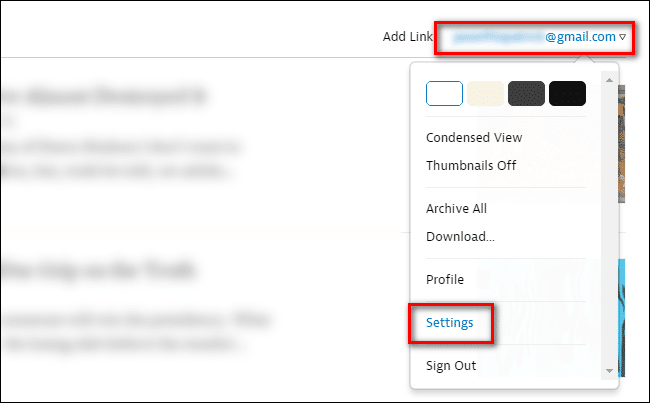 Now, head over to the new service you would like to start using, and import your settings. Pocket : Head over to Pocket, create a new account, and then click this link. Click on ‘Import‘, and select the Instapaper Export (instapaper-export.html). Instapaper : Head over to their website, create a new account, and navigate to Settings > Import, and import the Pocket Export. 4.) Enjoy your new reading service! If you have any queries, feel free to let us know via your comments section below.